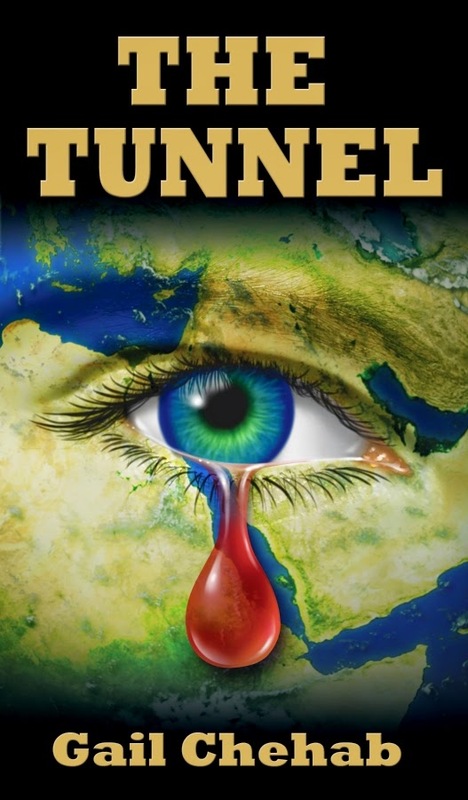 I believe the reader will enjoy THE TUNNEL as it mimics real life which is full of surprises. When tragedy struck the Hamdans, it did not knock politely but crashed through the door. Politics, war, money, superstition, along with cancer are what entered the Hamdan’s lives. Every time they felt as if they reached a solution, there was another problem even bigger than before. THE TUNNEL is a testament to the endurance of spirit and the way a family regains their hope in a region occupied by turmoil. When I was little I wanted to be an archeologist or the first lady on the moon. I lived in a small town where my father was the village dentist. This was the farthest thing from the moon or digging up ancient fossils. As I got older, I dreamed about making gobs of money on Wall Street while living in a luxury two bedroom apartment. Somehow I got that dream, and I hated it. Yet along the way, good things happened—I travelled from Africa to Latin America, got married, and had two wonderful children. When I was five months pregnant with my first child, I took a business trip to China. Having a Sunday afternoon free, I climbed the Great Wall. In my belly, my son-to-be felt heavier than any stone in the wall. When he was born, I got two hundred emails while I was still in the hospital. They weren’t all congratulations. Do this and do that. All urgent business matters. With my hormones out of whack and the burning desire to breast-feed, I did the unthinkable and quit my glamorous job to stay home full-time with my son. Despite the constant changing of diapers and keeping up with my son who eventually had the energy of an insect with twenty legs, I started to read again. At first, I fell into my old bad habits of reading business and economic journals, but then I slowly discovered novels and some poetry. After I completed Rohinton Mistry’s A Fine Balance, I held the book tight to my chest and wondered, how did he do that? A few years after my second child was born, I left my beloved New York and moved to California. Eventually, both my children were in preschool and I found myself with a bit more time. Hesitant to step back into the corporate world for fear of not being there for my children, I started to secretly dream of becoming a writer. Yet I just didn’t know how. It seemed so impossible to write a book. I had never done a creative thing in my life even though I was itching to. A year or so later, I finally found the courage to show my insides to anyone who would read my prose, and walked into my first creative writing class at a local university. Everyone had a manuscript in hand except me. I felt foolish. I had nothing, except my dreams, and my determination. We were given various assignments and I was terrible at each one. The teacher would read mine out-loud (anonymously—thank God) and rip it apart each time. It was the perfect example of how not to write. However, for some insane reason I loved writing and I just couldn’t give up. When the course ended, I came back for more punishment and signed up again. Something amazing happened during round two—I suddenly got the hang of it. I was becoming a real writer. Our assignment was to write a first chapter. I wrote more than the first chapter. I wrote an entire novel which became The Echo of Sand, and won the First Series Award. I still haven’t flown to the moon or discovered prehistoric bones. But I have evolved into a writer, a marvel in itself. A few years ago, I had the opportunity to travel to Cuba with my elderly mother on a People-to-People tour. We were touched by the warmth of the Cuban people, the depth of culture, and the painful separation of families. This unforgettable experience influenced me to write ON THE ISLAND OF SUGAR AND SECRETS, my latest novel of which I am near completion. At fifteen, Elliot Chan is one of the abandoned. After his mother left him to save street dogs in Crimea, he is chosen for his immense talent to the play the cello at Carnegie Hall. Yet the opportunity for greatness turns to terror as Elliot is placed under investigation for a horrific crime at his Carnegie Hall debut. Along with his demented grandmother, they flee to Cuba to find her first husband, a lost love, after being separated by 50 plus years of embargo. But Elliot must risk a great deal—in fact he has to leave behind everything he loves—in order to save himself. On the island, Elliot’s exiled grandfather, a former dissident turned hustler, manufactures medicine producing animals that seem like science fiction. He fights his captivity by acting crazy as deception is more powerful than the gun. Fear turns to wonder as Elliot disappears into a netherworld of spies, fugitives, mojitos and smoking hot women. From Canada to Carnegie Hall to Cuba, not even the most talented writers like Cuba’s adopted son, Hemingway, could make up Elliot’s life. THE ISLAND OF SUGAR AND SECRETS is a testament that explores the generosity of love and a journey that maddens, toughens and restores a teenage boy who grows up. J.M. Coetzee is a writer I greatly admire and whose novels are worth studying for his pose and style. He appears to be an ordinary, slight man but writes like a giant. Whether it is the masterpiece, Disgrace, or the tragic exacting pose of Slow Man, Coetzee takes off his skin to write about bold subjects that are easy to shy away from. He turns fiction into flesh and can still be sincere. His novels are not plot driven, but they draw me in, making it unexpectedly moving. I believe to write well, you have to be brave like Coetzee. You have to filter out the noise and commit to your craft. Every time I read Coetzee’s work, there is always a treasure of knowledge to be had. I am re-reading the Orphan Master’s Son by Adam Johnson. As mentioned, my work-in-progress is about Cuba influenced from when I visited the island nation on a People-to-People tour. I had a chance to meet real Cubans and talk to them while experiencing a socialist state. This adventure provoked me to read The Orphan Master’s Son which takes place in North Korea, another country which limits information to their citizen. I was intrigued how Mr. Johnson, an America, could write a book on a country that is restricted to western visitors. I am finding the novel to be fascinating in how he has created a powerful psychological portrait by combing research and extending his imagination through fiction. I am also reading the script of A Raisin in the Sun. Even though plays are not meant to be read, but seen on the stage, I am particularly interested testing my talent at playwriting. I deeply admire the playwright, Lorraine Hansberry, and her portrayal of a family who had dreams and how they dealt with the oppressive circumstances that ruled their lives. Take risks. I try all the time to take risks in my writing. My best writing comes from the heart and to not hold anything back. I choose stories with complex characters with political backdrops that are in turmoil. I try to humanize a conflict. My writing has to be real. The reader has to see themselves in the pages. My writing shows various points of view as there is never just one story. Plotting and pacing are critical as each problem must be more severe than the last. Finally, my stories always have a climax and then an epiphany. The endings are not always perfect because life is not. Even though I love writing, I try not to spend hours and hours at my computer, hacking away at a novel. I find that I do my best writing when I am not writing. I prefer to write the story while I am either skiing, running, or biking in the great outdoors. When something is not working on the page, I take a long run or ride my bike in the mountains where I live. As the elevation is hammering away in my chest, scenes and dialogue come to me quickly. There is nothing better than a woodpecker pecking at a tree while I’m composing dialogue in my head. It is easier to write volumes in the forest or mountains as nature coaches me along. There are also moments when I need to completely stop writing and clear my roaming mind. This is when I love reading a good book with my Labrador at my feet and my Corgi curled up in my lap. I also love playing the cello, volunteering in my community, and traveling with my children and husband. As a writer, it has helped me to be prepared for rejections, and lots of them. It is something good. It makes me stronger and a more resilient writer. My family is very supportive of my writing career and encourages to me write more. I am particularly grateful to them for their feedback. Writing is a rewarding, but lonely business and to hear from my family along with my readers is the fuel that lights a passion to continue.